Jayme has loved calling Chico her home for the last ten years. She grew up in Duluth, Minnesota and studied at the University of Minnesota before relocating to Northern California. Jayme has extensive experience with sales, marketing and customer service, with over 15 years of experience in those fields. 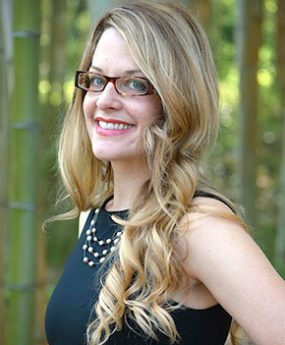 She worked on a top-producing real estate team at Keller Williams before joining the City of Trees Realty team. She is passionate and tenacious in helping her clients find just the right home. Using her network of friends and professional contacts, she never hesitates to go “above and beyond” in helping relocation clients find temporary living accommodations, employment leads and other local resources. When she isn’t selling homes and helping clients, Jayme is drinking a lot of coffee, because that is what helps keep her going all day! Patronizing local eateries with her husband and five-year-old daughter is one her favorite pastimes, as well as hiking and running the beautiful trails in our gorgeous North State area. She’s also involved in a thriving mother’s group in Chico and loves spending time with them as well as her friends and family. She values relationships above all and has developed an approach to real estate that is genuine, honest and energetic. She isn’t satisfied simply in selling homes, but takes delight in finding her clients the right places to call home, making the transition as smooth and pleasant as possible. Jayme is grateful to be in her clients’ lives long after giving them the keys to their new home!